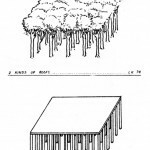 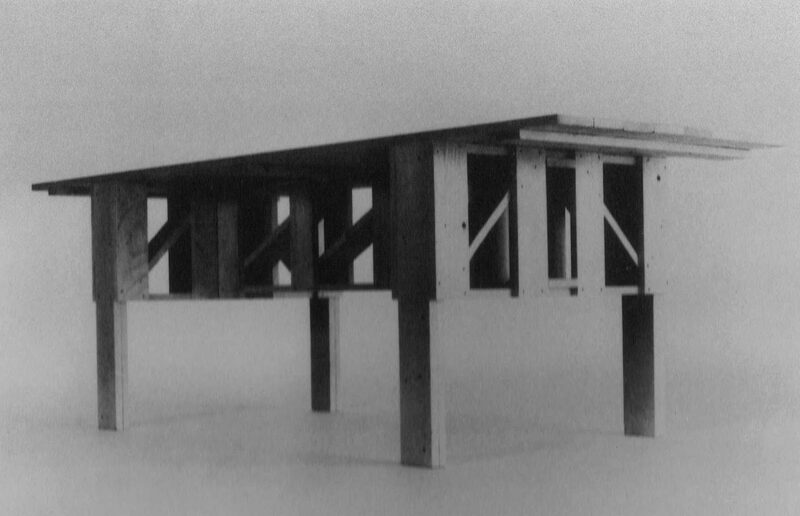 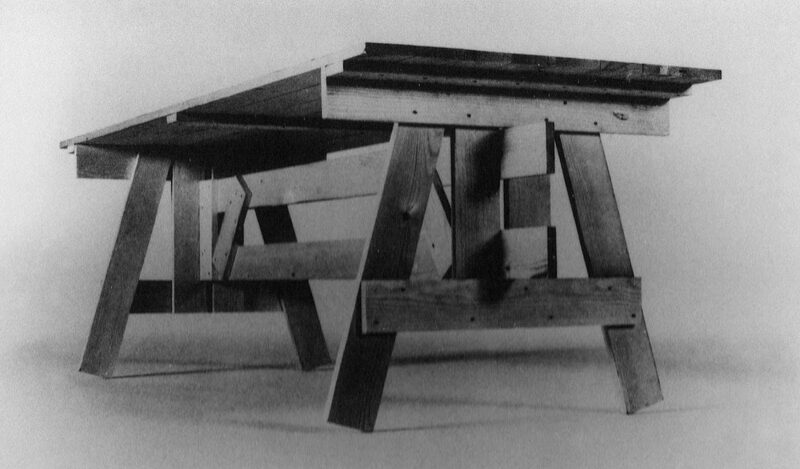 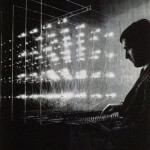 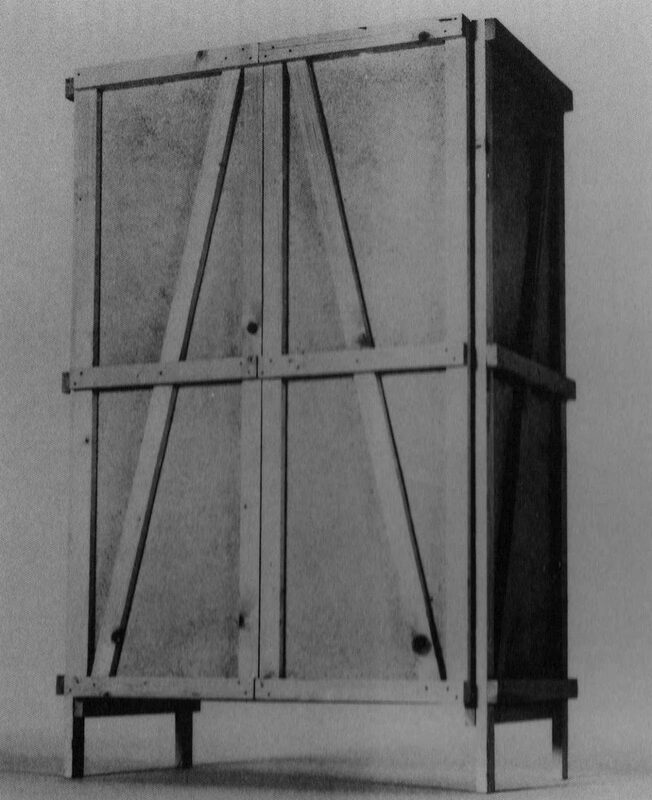 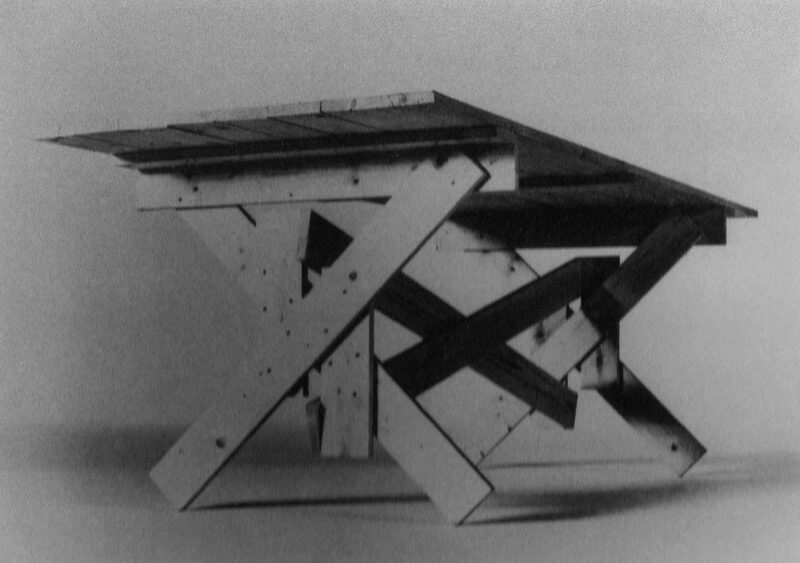 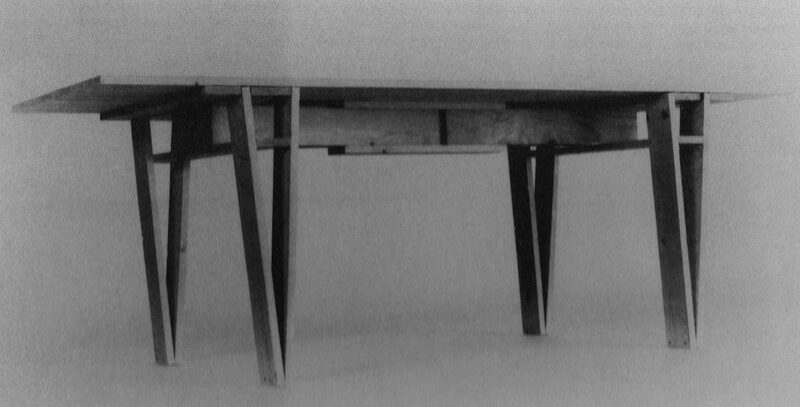 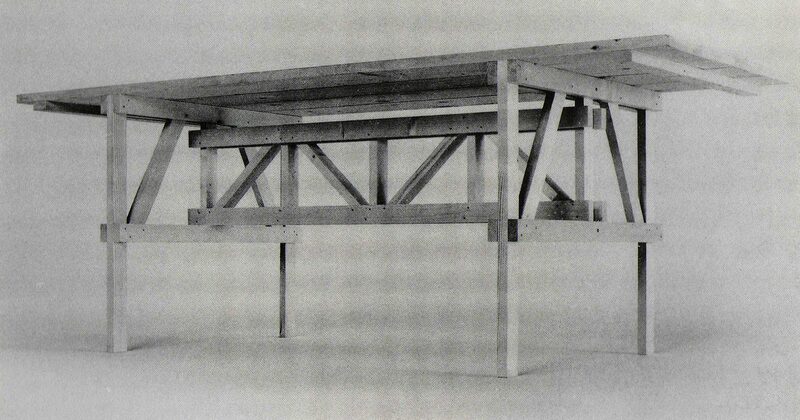 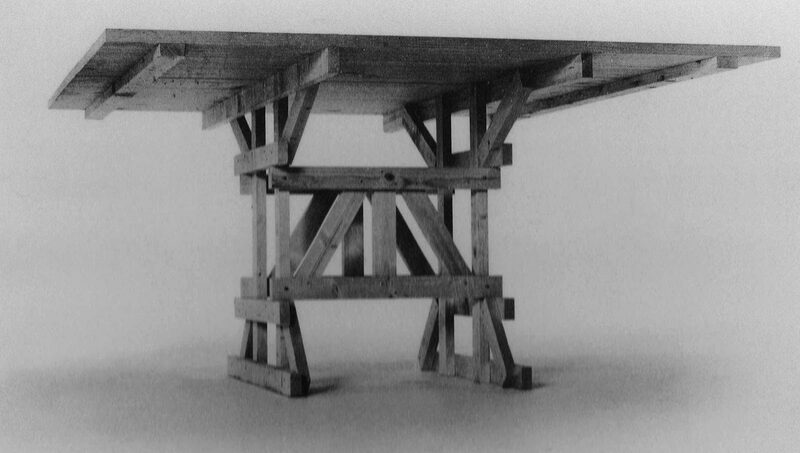 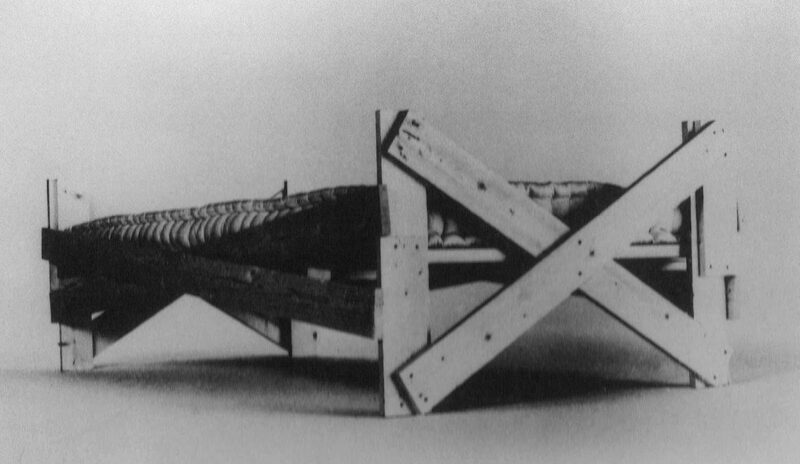 In 1974, Italian designer Enzo Mari published the first edition of “Autoprogettazione?” (the title might be roughly translated with “Self-design?”), a manual which included a number of furniture projects that could be realized by anyone through wooden boards and simple tools, basically a hammer and some nails. 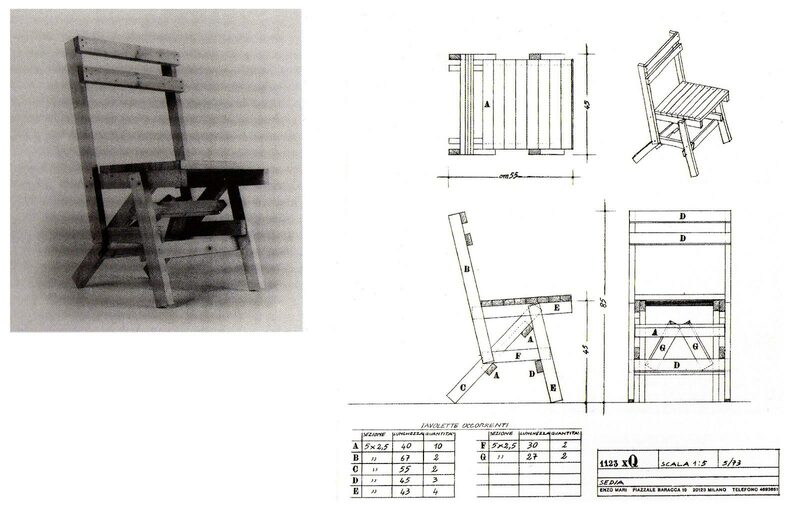 The book provides exercises which should be carried out individually in order to understand how good design works, “good design” meaning, according to Mari, a design which responds honestly to human needs. 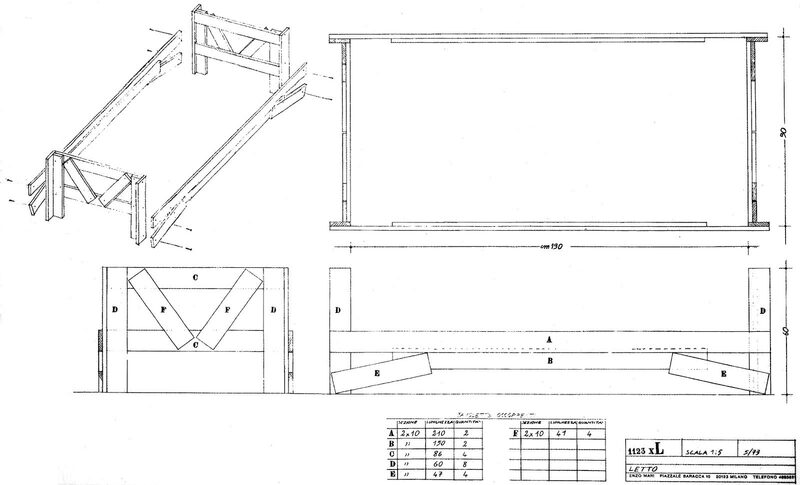 In the words of Mari, these projects do not want to be alternatives to industrial production, but exercises which may help each one understand how industrial products work and help to develop a critical eye towards them. 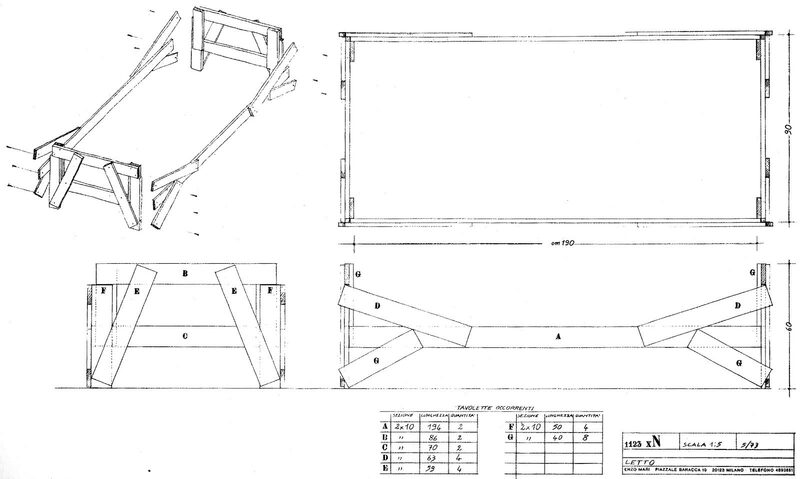 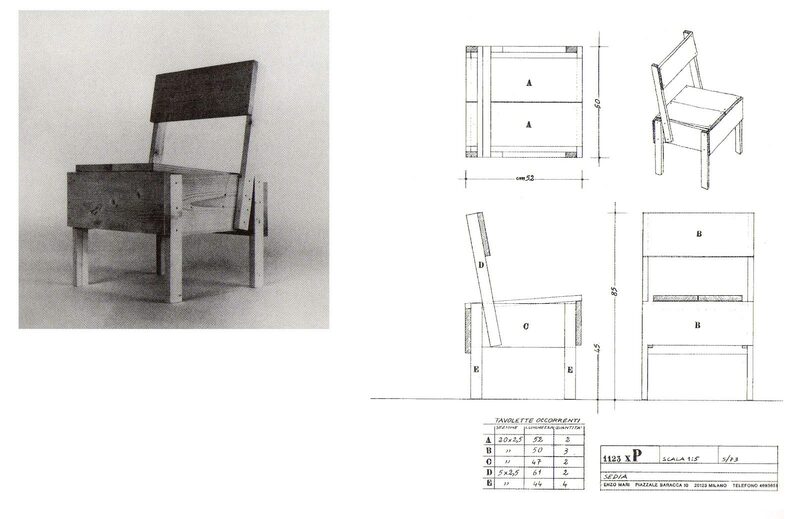 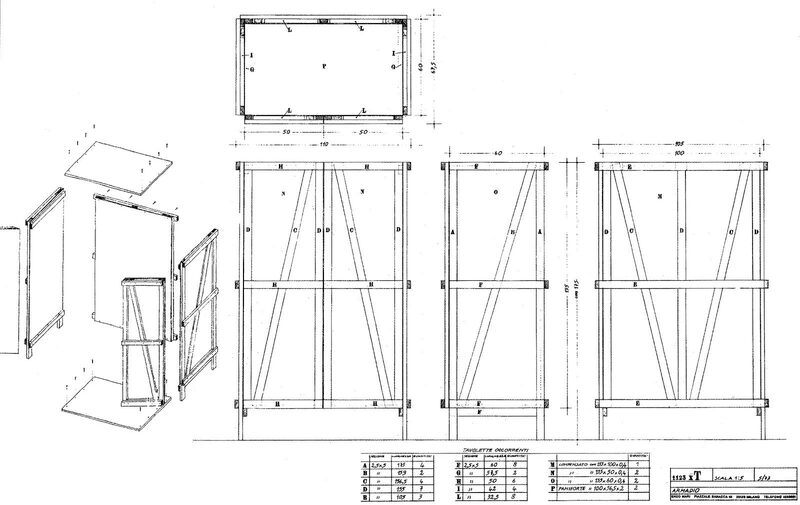 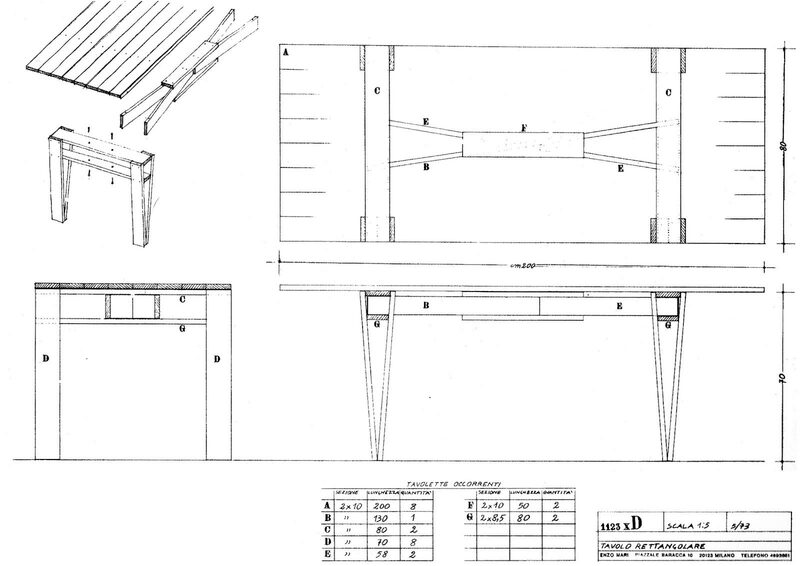 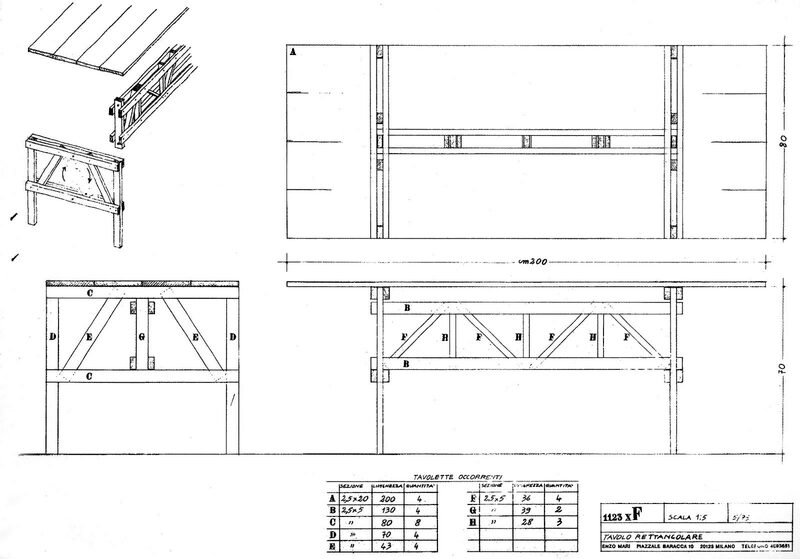 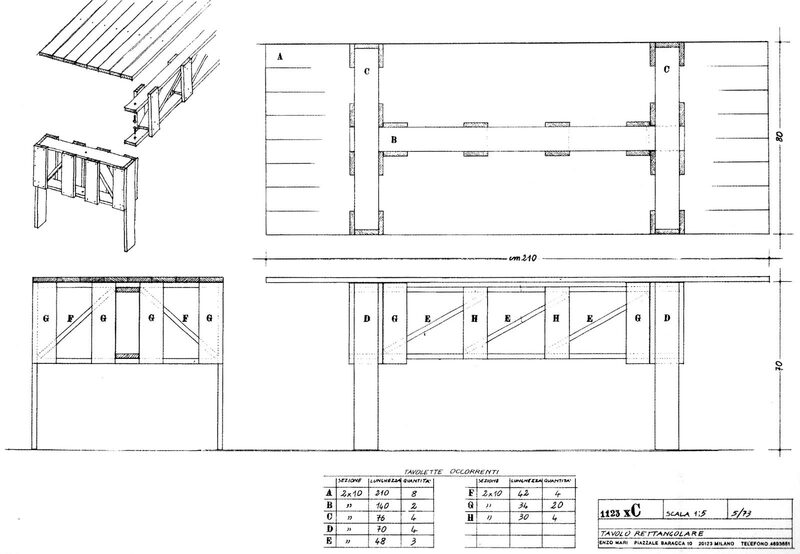 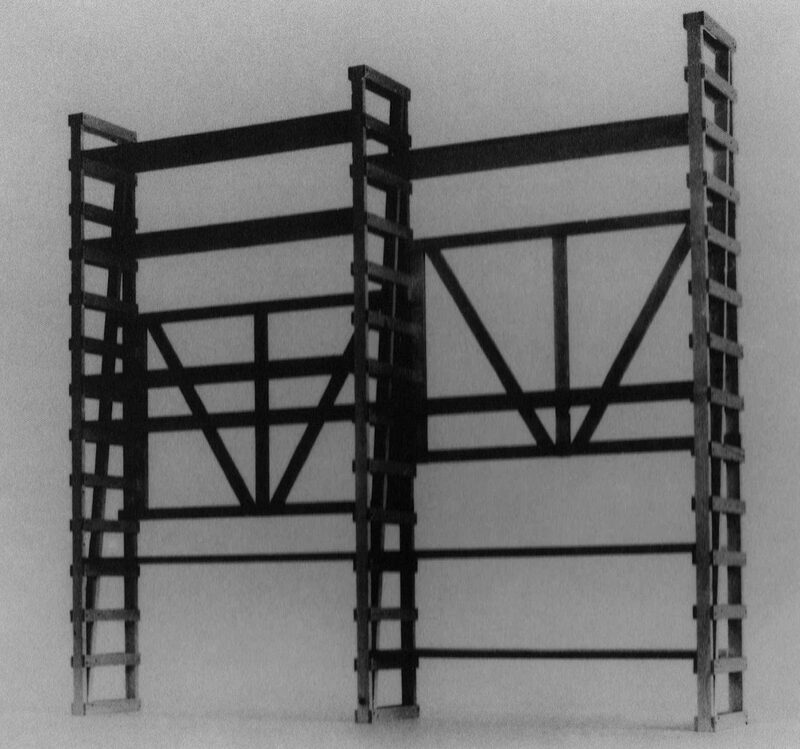 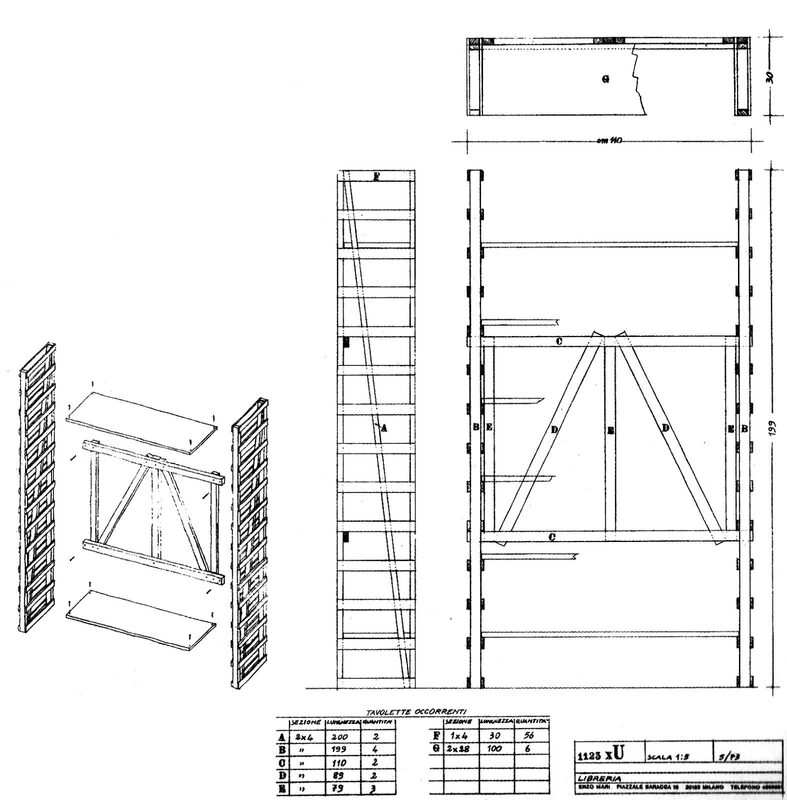 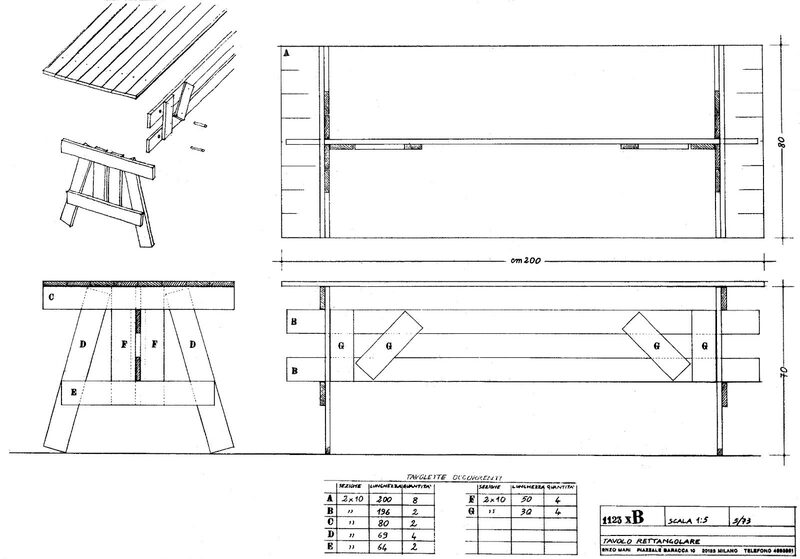 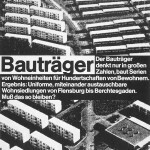 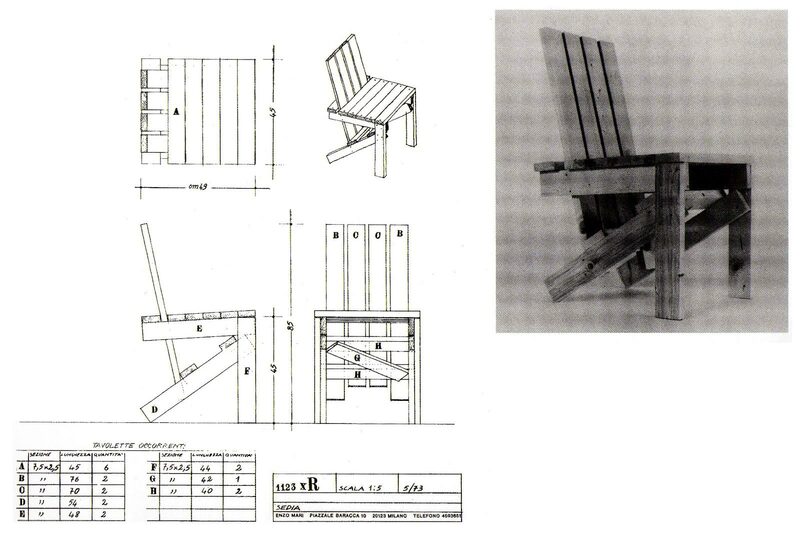 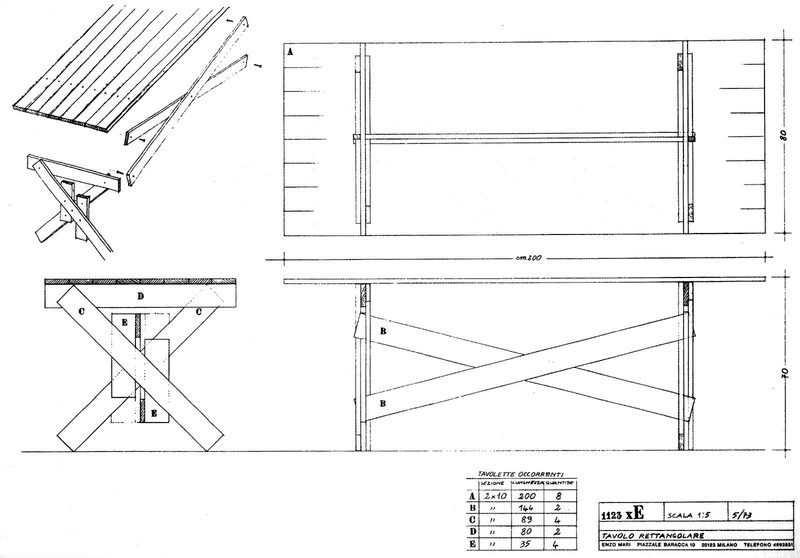 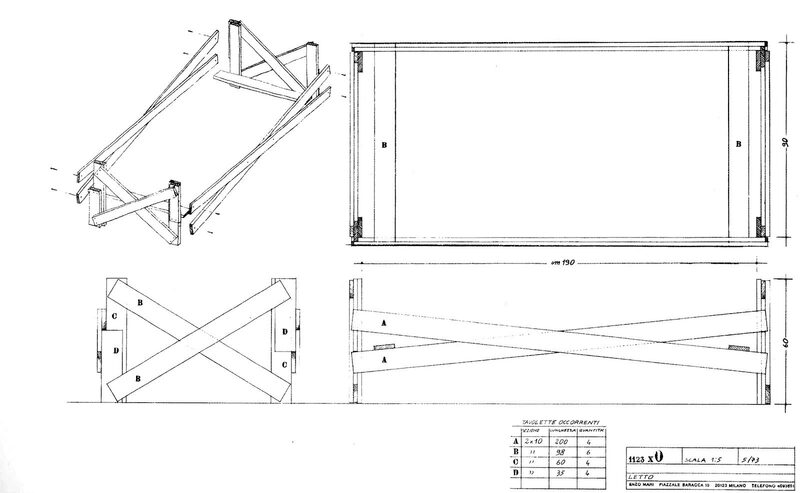 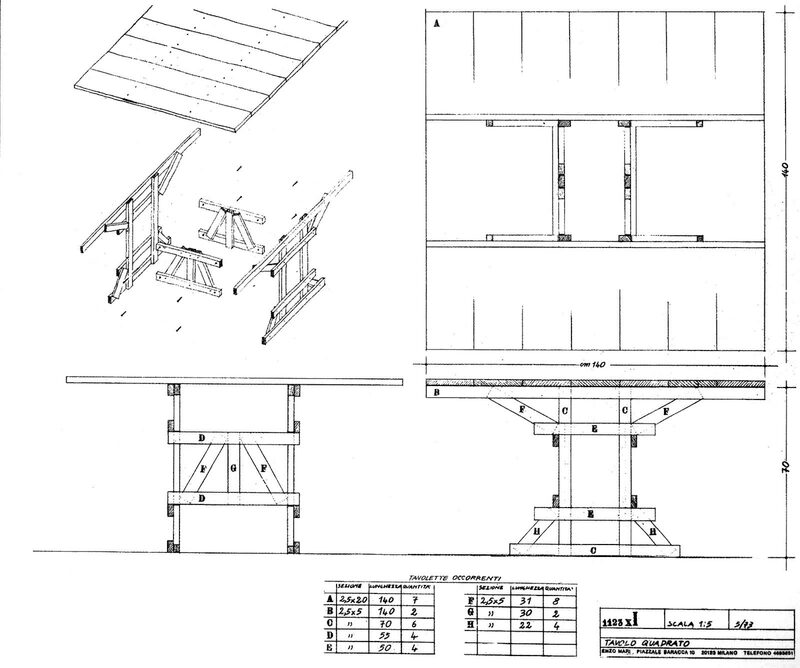 The technique to be employed in order to build the furniture is elementary, but the reader/user may carry out the projects in different ways, changing some details and shapes while understanding the basic structural component of an object. 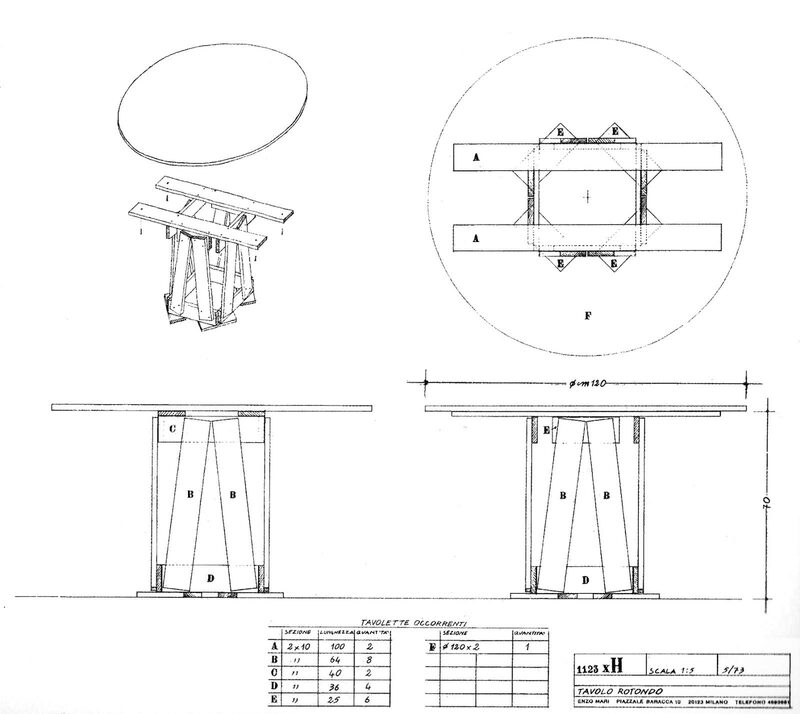 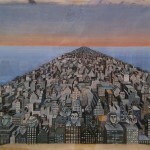 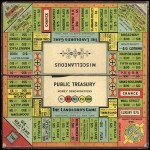 “Autoprogettazione” is an activity of research made through practice.